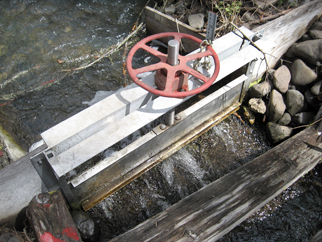 As directed by the Washington State legislature, the Department of Ecology has established a new program to speed the processing of water rights by certifying qualified professionals as Certified Water Rights Examiners (CWRE). Under this program, a CWRE will accomplish the final site inspection and review required to move a water right permit to certificate status, a function previously completed by Ecology staff. Ecology finalized its rule making process in November 2011, creating Chapter 173-165 WAC, as authorized by the new law RCW 90.03.655. The program is expected to begin in 2013 after the first round of CWRE examinations have been completed (likely in the spring). Ecology’s news release provides an overview of the program and additional information is available on Ecology’s website. In short, the program will work like this: When a water right application is approved, Ecology issues a permit with a timeline for the user to put the full appropriation to use. Once the user determines that their use fully meets the limits of the permit, they apply to Ecology to move the permit to certificate status by submitting a Proof of Appropriation form. This proof request must be confirmed through a field visit and examination before the certificate can be issued. The permit holder will hire a CWRE, have them complete the final examination process, and submit their findings to Ecology. Ecology will then issue the certificate based on those findings. From our perspective as one of Ecology’s approved cost-reimbursement contractors, we view the CWRE program as a useful expansion of the cooperation between Ecology and the private sector. Robinson Noble will have CWREs on staff and will offer these services as soon as Ecology’s examination process is completed. Our services will then support water users from start to finish in a water rights process, from application, through permit approval, and ending with proof of appropriation certification by a CWRE.